Walter Oldham was born in Beeston in 18942, a grandson3 of William and Annetta (née Rice) Oldham. William worked for the local council as a labourer and, in 1901 he was living with his wife and the 7-year-old Walter at 17 Salisbury Street, Beeston4 and, ten years later, in 1911, at 19 Salisbury Street, Beeston5. By this time, Walter, now 14, had started work as a grocer's assistant. Although his Army Service Record has not survived, it appears that Walter enlisted in January 19156 with Notts & Derbys Regiment, probably receiving basic training with that regiment before, at some point, being transferred to the 18th (Service) Battalion, South Staffordshire Regiment, part of 51st Brigade of the 17th (Northern) Division. This transfer was probably in time for the Somme battles in July 1916 or shortly after it got underway when the battalion needed reinforcement after early heavy losses.7. The Battle of the Somme, that got underway in a dramatic fashion on July 1st 1916, resulted in horrific casualties - over 57,000 British on the first day alone - and continued as a series of battles continuing over the next five months. 8th Battalion was in the front line almost from the start, taking over trenches opposite Fricourt where 7th East Yorks had suffered heavy casualties on the first day. Fricourt was taken with heavy casualties, but the operation had to be curtailed when other parts of the front became stalled. It was a similar story on the 9th of July, when the battalion had some success with a bayonet attack but support from other units floundered, any gains were lost to the enemy and very heavy casualties were suffered. The battalion was withdrawn for reorganisation, reinforcement and further training. During August, the battalion took part in bitter attacks on Delville Wood For the many men for whom this was the first experience of battle - probably including Private Oldham - this must have been a terrifying initiation8. In the remaining months of 1916 and into the beginning of 1917, the battalion spent much of its time in training but did take its turn in the trenches, facing very difficult weather conditions. In April 1917, the battalion took part in the Battles of the Scarpe in the Arras area, including a major offensive on the 23rd April, when it suffered a large number of casualties - 15 officers and 218 other ranks, killed, wounded and missing. Amongst this number was Private Oldham who was killed in action on this day. 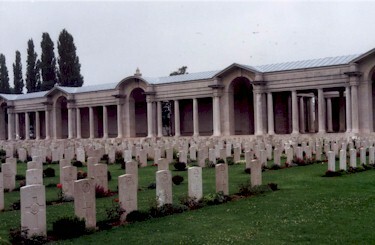 As his body was never identified, Private Oldham is remembered on the Arras Memorial, in the Faubourg-d'Amiens Cemetery, Arras, which commemorates almost 35,000 servicemen from the United Kingdom, South Africa and New Zealand who died in the Arras sector between the spring of 1916 and 7 August 1918, and have no known grave9. He was posthumously awarded the Victory Medal and the British Medal10. Walter's Army financial effects of £3 17s 2d were paid to his grandmother, Annetta Oldham, on 5 October 1917 and she received his War Gratuity of £10 on 23 October 191911. 2His birth was registered in Basford Registration District (of which Beeston was part) in Q3/1894 (Ref 7b 182). 3Although Walter was brought up as their son, the evidence points to his being their grandson. No maiden name is recorded in the extended birth index at www.gro.gov.uk/gro/content/certificates/default.asp. and Rosetta was described as his grandmother in the Army Registers of Soldier's Effects when she was paid the amounts owing. Sight of his birth certificate should confirm this contention. 41901 Census, Piece 3151 Folio 171. 51911 Census, Piece 20430 RD429 SD3 ED5 Sched 229. 7Further evidence for this date can be gained from dating the issue of his service number with the South Staffs Regiment as these were allocated sequentially. A record of another soldier, Lance Corporal James Ball making a similar transfer in July 1916, appears in De Ruvigny's Roll of Honour (see ww1photos.com/Names/B/BallJLCplSStaffsRegt.html). Ball's service number, 43046, is very close to Private Oldham's number, 43201. 8This account of the battalion's involvement in the Somme and Arras offensives is based on its war diaries. 10Walter's medal awards are recorded in the Medal Rolls, available on ancestry.com.